The expanding city is the 4th gallery in the suite of new Birmingham history galleries and looks at the period between 1909 and 1945. 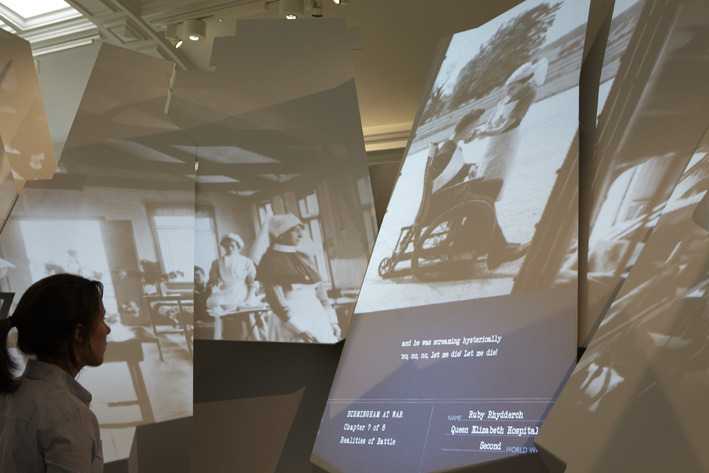 The gallery is divided into two sections, the first, A Vision of Birmingham, looks at the development of the suburban Birmingham during the early 20th century, and the second, Birmingham at War, focuses on the experiences of Birmingham people during the first and second world wars. 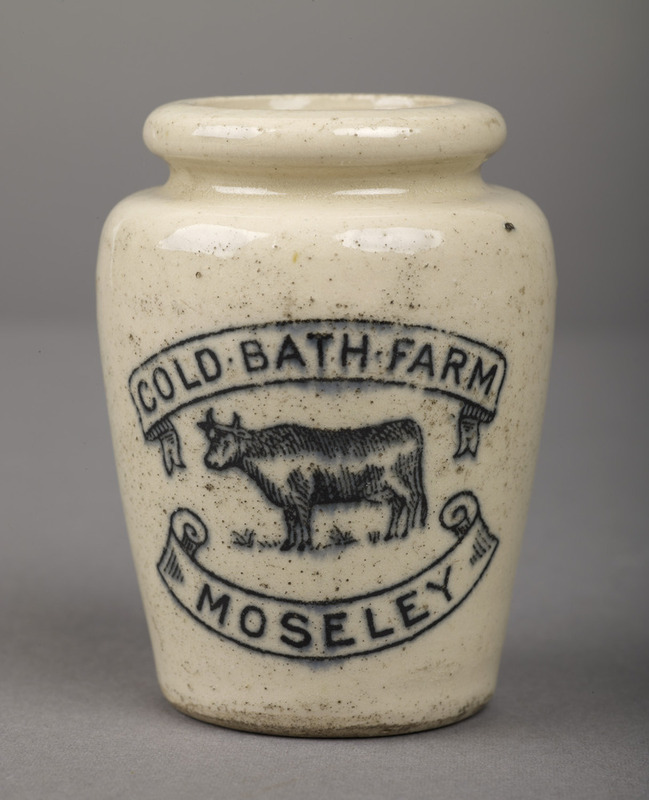 Within the expanding city, I was able to select some fantastic objects with great stories including: cream pots once used by dairy farmers in Moseley during the 1920s, and a 1914 Birmingham Battalion badge issued to men who volunteered for the Birmingham Pals at the beginning of the first world war; but for me the highlight was the opportunity to use recordings of people sharing their personal experiences. The Museum has collected oral testimonies since the early 1980s, and has amassed an archive of over 1000 recordings with Birmingham people on topics as diverse as working life, migration, war, and the Bull Ring markets. 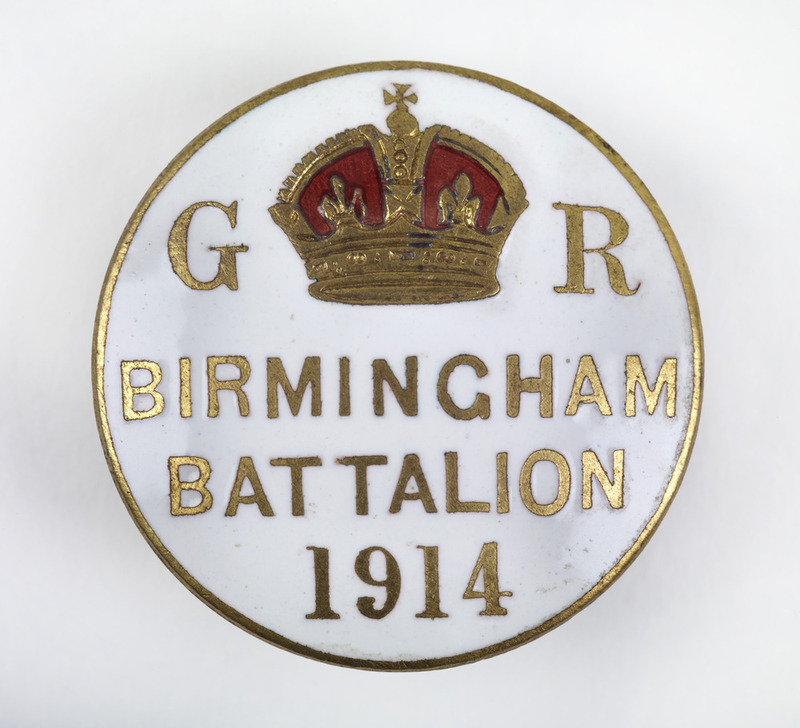 Today we consider collecting oral histories a vital part of developing our Birmingham history collections, and where possible we will conduct an interview when acquiring a contemporary object. 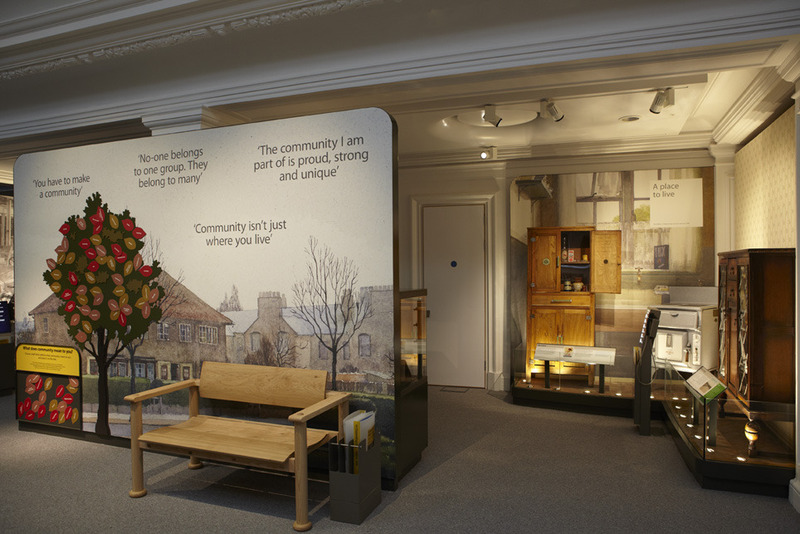 Enabling to someone tell their own story is very powerful, which is why the use of oral histories was key to developing these galleries. Most of the displays are supported by a sound post where you can listen to a range of topics including: working at Cadbury’s, moving into a suburban council house during the 1930s, and volunteering for the Caribbean Regiment during the second world war. The Museum has particularly strong oral history collections relating the two world wars, and we wanted to make the most of these interviews in the new galleries. The central feature of Birmingham at War is an installation which features interviews with over 30 Birmingham people. 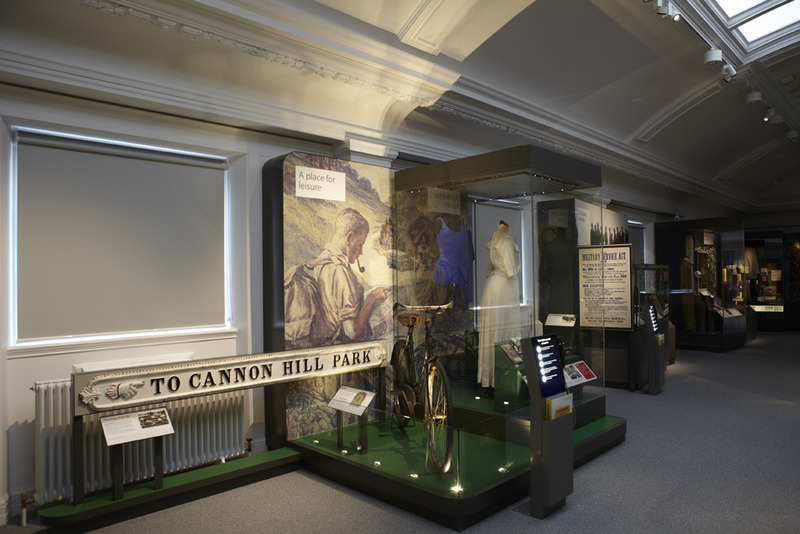 Throughout 2013 there are a number of curator-led tours of the Birmingham history galleries. The following tours will focus specifically on An Expanding City or may feature it as part of a wider gallery tour. Tickets are available from reception and cost £2 per person. Tours begin at 1:00 in the Round Room. 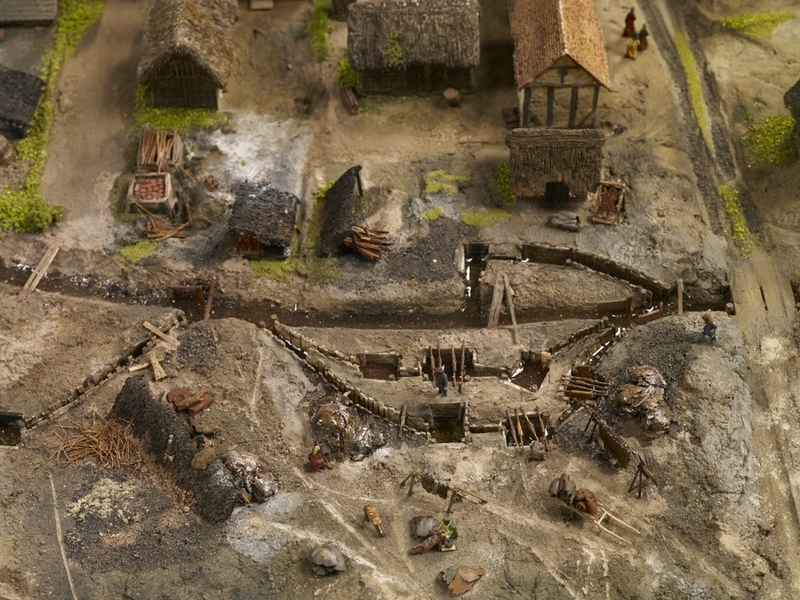 The model sits at the centre of the new medieval gallery, Origins, and this is deliberate. 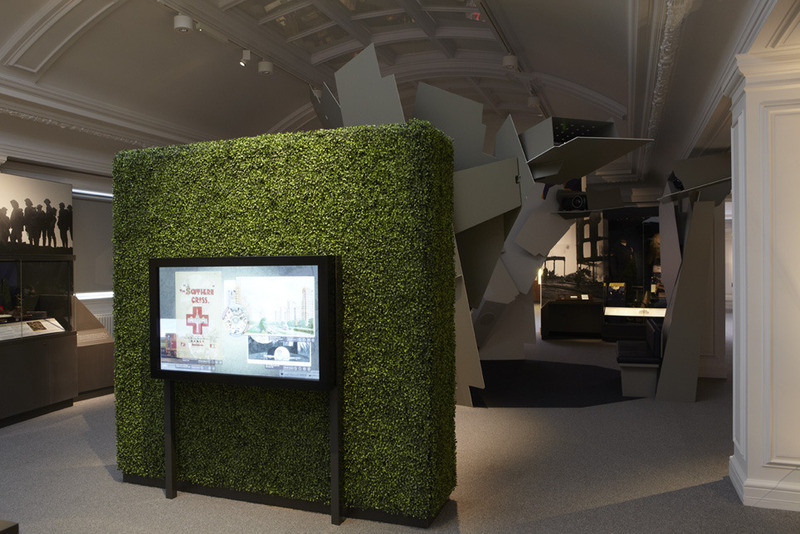 It’s not a stand-alone interactive, as it has been designed to act as a ‘gateway’ for understanding all of the medieval objects on display in the gallery. This brings me on to one of my favourite objects; the skull of a hunting dog. 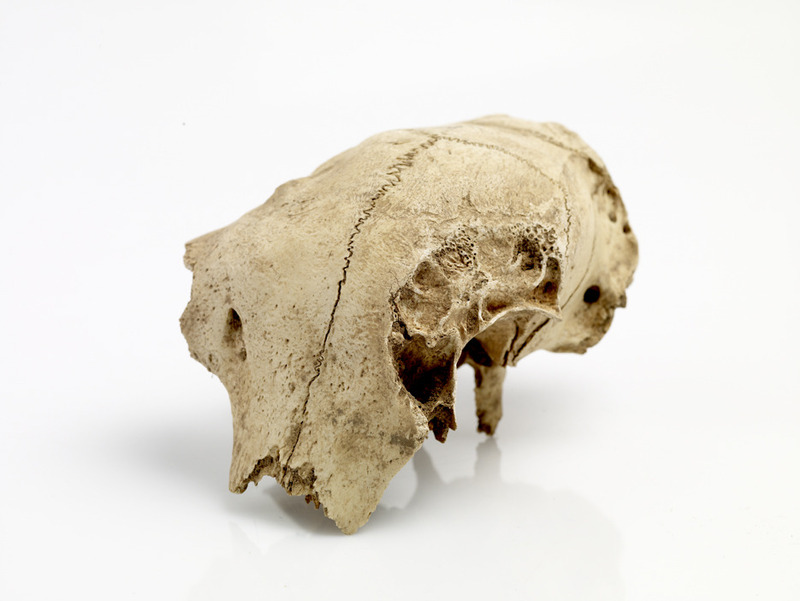 It’s most likely the skull of a greyhound, one of the oldest breeds of dog known to man. The skull dates from the 14th century and was actually found at Weoley Castle, around six miles from Birmingham city centre. 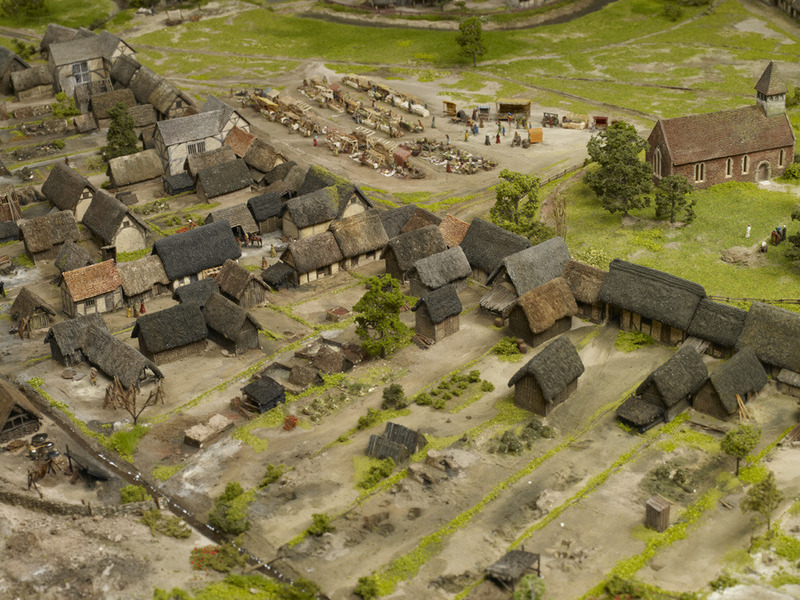 So, how is it relevant to the model of medieval Birmingham? 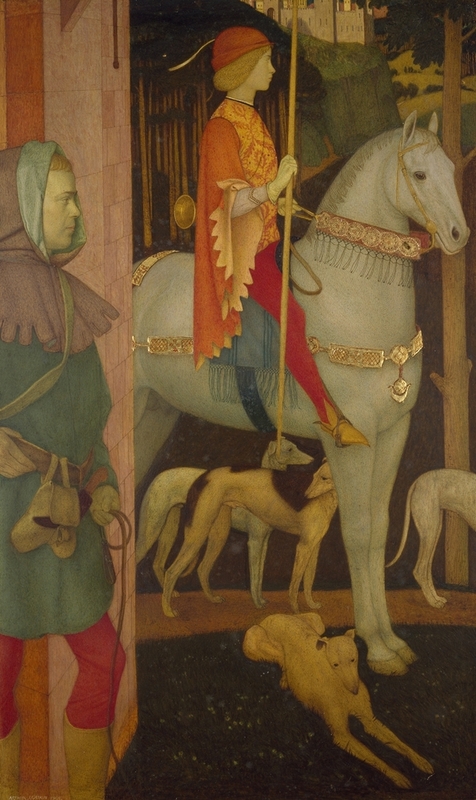 Well, the de Birmingham lords would have also kept greyhounds, and we know this from the extensive deer park that existed next door to the town. William de Birmingham hunting in his deer park. 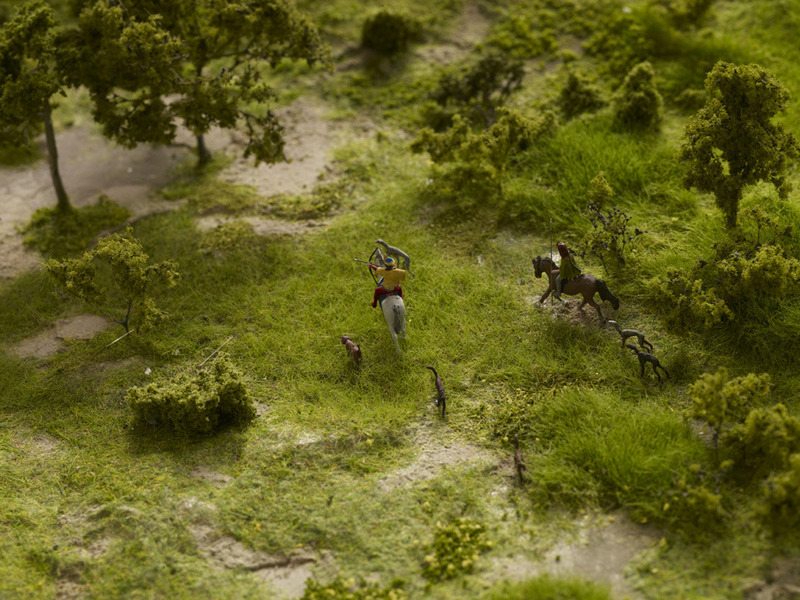 In fact, the deer park existed before the town. The manor of Birmingham covered an even larger area stretching from the River Rea in Digbeth at one end, to Edgbaston at the other. The town Peter de Birmingham founded in 1166 occupied a small patch of land within the manor in comparison, but as the town became more successful, the subsequent de Birmingham lords released more of their deer park, until eventually it was absorbed by the expanding town. The water-filled ditch in the middle of the image acted as the boundary line of the town. By 1300, tanning pits were occupying what was once the deer park. 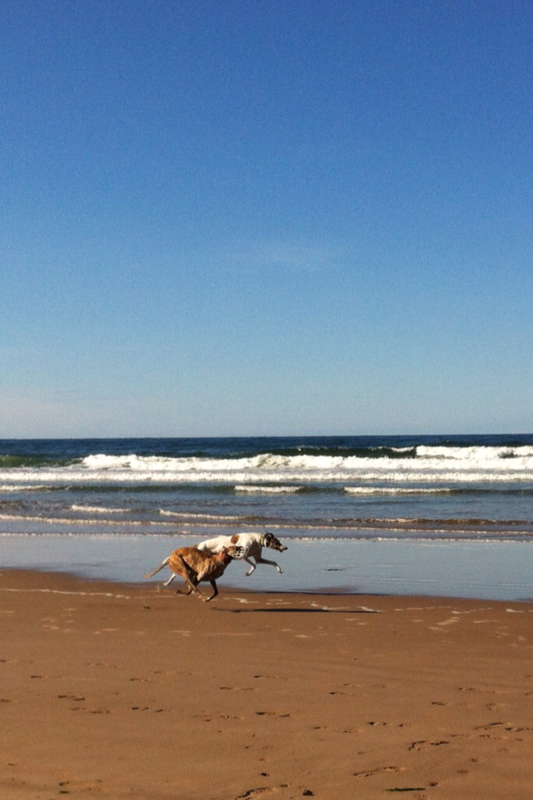 Greyhounds were bred for the nobility in the Middle Ages and any ‘commoner’ caught with one would be severely punished and the dog killed. This was seen as a justifiable act to preserve hunting rights. We can use this object to understand how feudalism was breaking down in Birmingham and England as a whole. The park was becoming gradually less important as the town prospered. That’s to say that the deer park was now more valuable to the lord as part of the town, than it was as his hunting ground. The economy was no longer solely based on feudal obligations, whereby peasants worked the land for the lord in return for living on his manor. 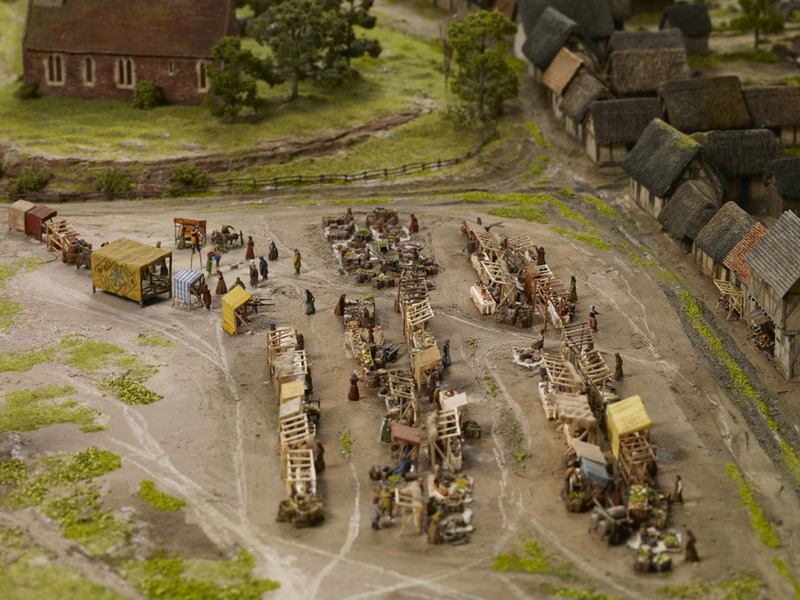 We know that in Birmingham as early as 1232, sixteen townsmen had come to an agreement with William de Birmingham (an earlier William than the one featured in our model) to free themselves from their haymaking duties. It was more beneficial to William for these merchants and tradesmen to sell their goods at market and support the growth of his town, than to help out with this communal obligation. This was part of the gradual move from a land-based economy to a money-based economy. A successful investment! The market triggered Birmingham’s growth and the town continued to expand gradually into the rest of the manor.